Purchasing your first smartwatch can literally be life-changing. It helps you to organize your life and keep track of a whole host of things that you might have trouble doing yourself. Yes, there are high-end smartwatches that you can purchase for $400+ but you don’t have to! We’ve already shown you the best smartwatches under $50 but we wanted to show you that for a few more dollars, you can get even higher quality watches – still without breaking the bank. This is why we’ve decided to post about the best smartwatch under 200 USD. For that extra money, you can get a lot more quality and many more features. With the watches at the highest end of this price range (199 USD), you’ll feel like you’ve purchased a $500 watch and will barely be able to tell the difference. So we have seven of the best smartwatches that you can buy under 200 dollars but which one is the best? Let’s first take a look at a list of all the best smartwatches under $200 and a couple of their key features. Then we’ll get to the product reviews! Perfect! Now that we have an idea of what’s on the list, let’s get into the individual reviews. The first smartwatch we’ve decided to include comes from the very reliable brand Sony. Another great thing about upping your price point to $200, you’ll be able to afford smartwatches put out by a lot of the big name tech brands. With the brand behind the watch, you know you’ll be able to trust its quality and rely on the features to work well. The Sony smartwatch isn’t usually one that’s brought up in talks of smartwatches but it should be. It’s at a great price, includes a ton of features and sensors, and it honestly just looks great. Usually, looks aren’t the most important thing when reviewing products, but we think in the case of the smartwatch – it’s definitely something to take into consideration, seeing that you’ll be wearing it in plain view on your wrist daily. So what exactly does Sony manage to include in their smartwatch and more importantly, exactly how much does it cost? First off, the design is impeccable. The watch looks modern, clean, and quite frankly expensive. 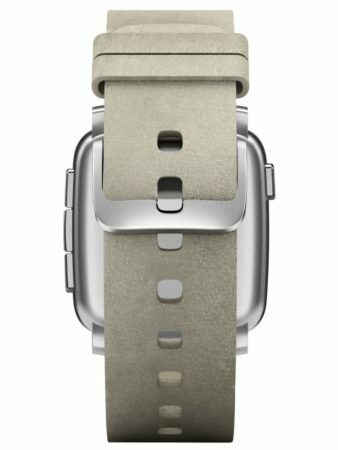 It comes in either white or lime green with the pictured band but it also comes in a stainless steel model. Depending on if you’re going to use this primarily for tracking your activity or just as a classic smartwatch, there’s a style for you to choose from. It’s also waterproof so you’re able to use it in any weather without worry and can also use it in the pool to track your swimming activity. It also comes with an ambient light sensor so the screen will know when to dim or completely shut off, an accelerometer, a compass, and also GPS. Not bad especially considering the price – only $125. It has loads of activity tracking features so if you’re looking to use this for sports purposes, this is a great option. Another excellent feature that this watch has is that you’re able to use voice commands! You can tell it to search for certain things, set alarms, and other basic tasks. The set up is also very intuitive and you’ll feel like you know what you’re doing from the second you take it out of the box. Sony also includes something that not every watch has the capability of – you can store music on the actual watch! This is useful if you don’t always want to lug your phone around. As far as battery life, it falls completely in the middle of the road at two days. Not the best, not the worst. If you forget to charge it one night, you’ll still be good to go the next day. Sony managed to jump head first into the smartwatch game and succeed. This watch isn’t compatible with Apple as it uses Android Wear, which is one downside. But overall this is a beautiful watch that includes all of the major smartwatch features plus a couple of extras. 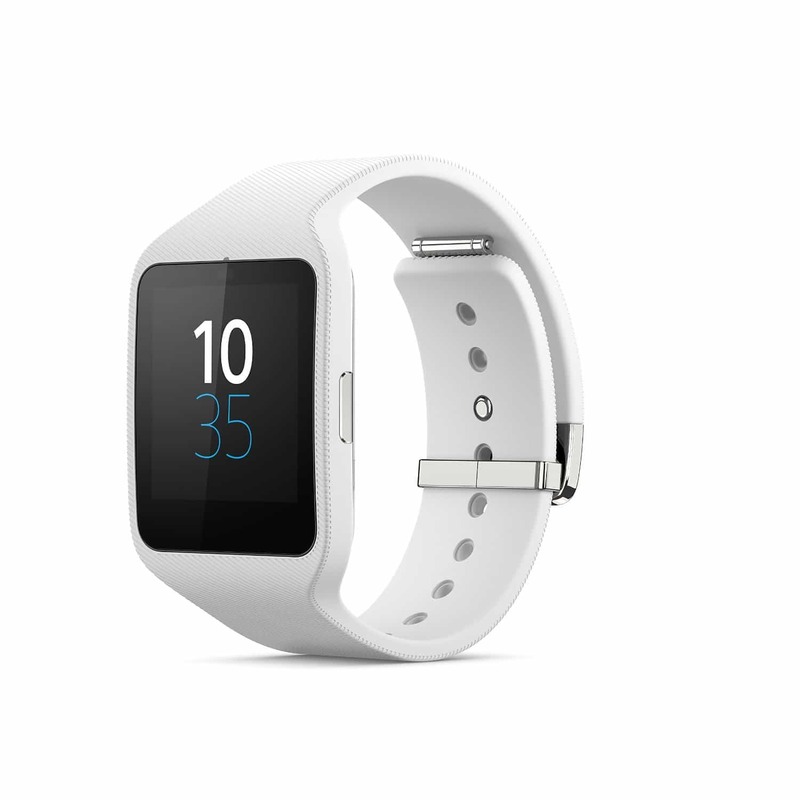 You will not be disappointed if you decide on the Sony Smartwatch. 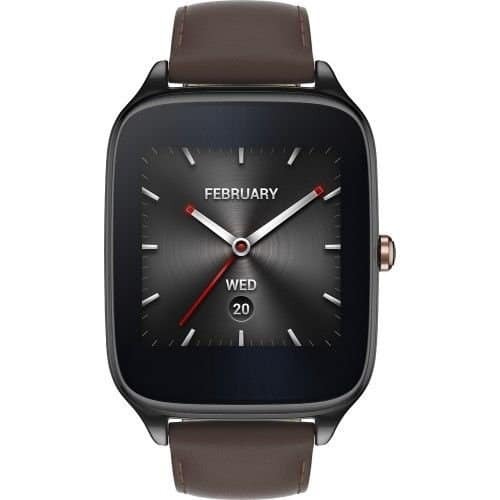 Up next we have a decent budget option with the ASUS ZenWatch 2. It looks very snazzy and even comes with a leather watch band and at under $100, we don’t think you can tell at all. ASUS is mostly known for making tablets and computers but just like most other tech companies, they’ve decided to enter the smartwatch market. 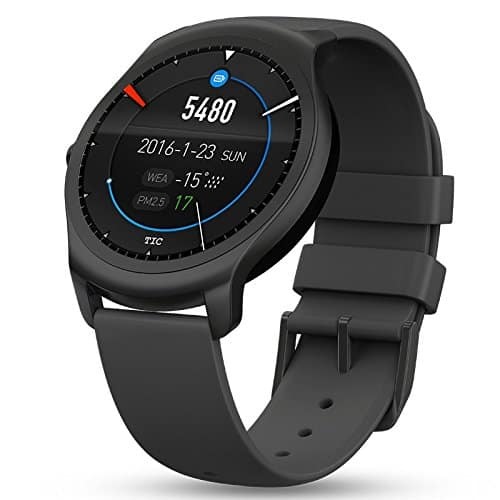 With the ZenWatch 2, they’ve made some significant improvements over the previous one and easily compete with the other smartwatches on the market in their price range. While it is only compatible with Android, we still think it’s a great stylish option. But specs talk! So let’s get into exactly what makes the ASUS ZenWatch 2 so great. First off, it comes in a ton of different colors which is always nice to be able to customize. This includes leather options as well as stainless steel. The actual face of the watch is made of gorilla glass and is extremely durable. It also has built in wifi, which is another amazing feature. ASUS is really showing its computer background with that. This smartwatch is also particularly easy to pair and you’ll be up and running just minutes after getting it out of the box. It is also waterproof, albeit only up to one meter. The watch itself is very nicely made and just feels much more high end than it actually is. 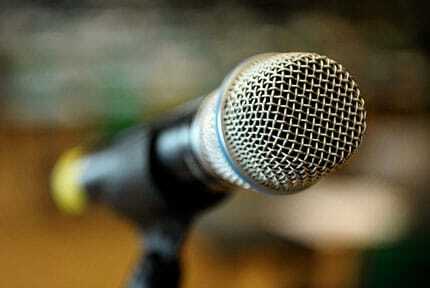 You can reply to texts with your voice so you don’t have to pull out your phone every time you get a message. As far as battery life, it will last up to two days depending on exactly how you use it. Either way, you’re able to charge it up to 60% in only 15 minutes! So if you are in a hurry, you can have a watch that’s ready to go in the time that it takes you to get dressed. Talk about fast charging. Admittedly there aren’t a ton of fancy features but ASUS manages to get the job done with the ZenWatch 2. It feels and looks nice, is durable, waterproof, and charges super fast. 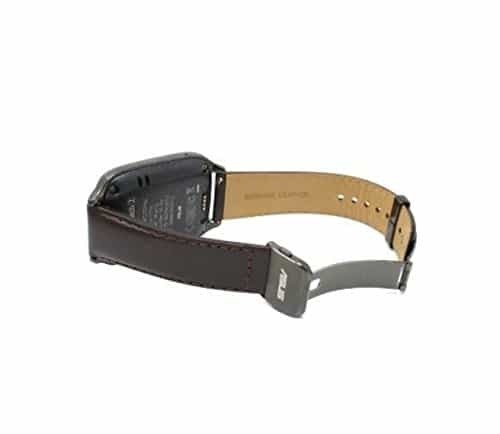 We love the leather band and feels like it really adds a sense of luxury and also gives it more of a classic feel. However, if you don’t love the leather, ASUS gives you tons of other colors and materials to choose from so you definitely have options. If you’re still not ready to make the plunge into the world of smartwatches for close to $200, consider the ASUS ZenWatch 2 for only $80. If you’ve been in the market for a smartwatch and have been doing your research, you’re probably no stranger to the Samsung Gear S Smartwatch. It’s a vibrant, beautiful smartwatch that comes with a curved display so it not only looks great, but it feels great on your wrist. It contours perfectly to the shape of your wrist so you’ll barely feel like you’re even wearing a watch. It kind of goes without saying, but make sure to note that the Samsung Gear S is in fact only compatible with other Samsung phones. Don’t buy this watch expecting it to work with your iPhone. Alright – let’s get into it! Is this watch really worth all the hype? Does it live up to the high expectations that we’ve created for Samsung? Let’s find out! Let’s discuss price first and foremost. It is at the very very top of our range at $199. But with big brands often come bigger prices. But as always, if we ever include something that’s expensive on our list – we think that it’s well worth the price. It comes with a ton of workout related apps already built in and ready to go to track your activity from the second you put it on. It also comes with a ton of other apps already preinstalled so it’ll feel like it’s yours right out of the box. Even if it doesn’t come with exactly what you’re looking for, Samsung has an extremely comprehensive app store so you’ll most likely be able to find exactly what you’re looking for. It also features a 4 GB internal memory which is pretty high for such a tiny watch. The screen is a full two inches so it’s incredibly easy to see all your notifications and also to respond to any texts. This is a very high quality, reliable smartwatch that definitely does not disappoint. Another amazing aspect is that you’re actually able to use it as a separate phone and you don’t necessarily need to always have it paired with your phone! Of course, it’s cheaper and easier to do so, but if you don’t always want your phone around, this is a great alternative. 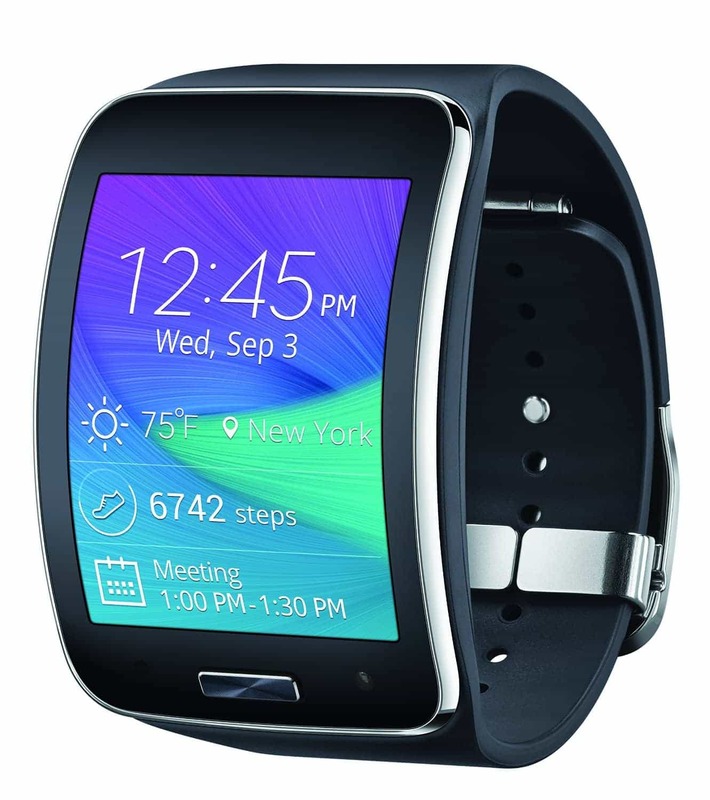 Overall we think Samsung really delivers with this watch. The one downside is that the screen does feel pretty big when you use it, but that can either be a positive or negative depending on exactly what you’re looking for. It doesn’t feel big on your wrist because of the curve, but the bright screen will definitely stand out. When it comes to smartwatches, there’s definitely a huge variety. One subset of smartwatches are those that are geared specifically towards fitness and the Fitbit Blaze is exactly that. While you won’t get all of the features that normally come with a typical smartwatch, you will more than make up for it with the additional fitness and activity tracking features. And you best believe that Fitbit has packed plenty of extra fitness features to make up for the lack of some of the more advanced smartwatch features. Okay so let’s get into the review! As we mentioned with the Samsung, often times a big brand name means a bigger price tag and the same is true for the Fitbit. It costs $199 so it’s definitely at the upper end of our price range, but if you’re looking for a smartwatch to help get your fitness on track – this is the one for you. It’s extremely thin and lightweight so you’ll barely even realize you’re wearing it while you work out. The Blaze also allows you to track the movements for specific sports e., hiking, swimming, running, etc. which allows it to make sure the calories it counts is perfectly accurate. It also has GPS so it’s able to see specifically which trail you’re on. Something else that’s really impressive is that it actually has the ability to take your pulse while you work out! This is extremely helpful data to have if you’re tracking your fitness and not to mention, it helps to ensure the calories it’s counting is even more accurate. The Fitbit Blaze also gives you reminders to complete your fitness goals to help keep you on track. This is a great fitness smartwatch overall. It has a bunch of different sleek watch faces, it’s very easy to see in the daylight as the screen is very bright, and it also charges very quickly. It is water resistant but it’s recommended to try and not get it too wet. While the primary function is definitely fitness, you’re still also able to get call, text, and calendar alerts sent to it. One slight annoyance with this is that Fitbit has its own proprietary charger so you won’t be able to charge it using anything else and if you lose said charger, you’ll have to specifically buy a Fitbit one. Other than that, we’re in love with the Fitbit Blaze and cannot recommend it enough as a reliable fitness smartwatch. While not necessarily immediately recognizable, if you’ve done your research on smartwatches – you’ll have come across Pebble. Pebble is known for producing high quality, high functioning smartwatches at a much more reasonable price than a lot of their competitors. The Pebble Time Steel is no exception to this. This is an absolutely beautiful watch and includes rather large bezels which we personally like and we think helps to give the watch a much more classic feel. So can the Pebble Time Steel compete with watches that are around double its price? The answer: absolutely. At first glance, you can tell just by looking at the watch that it’s very well made and will look good on anybody’s wrist. It’s completely customizable with thousands of different watch faces that are accessible via the Pebble store. There are also hundreds of different watch bands available for you to switch them out depending on the occasion. The display itself is also very bright and can be seen on the sunniest of sunny days. Let’s talk battery life. It’s one of the longest on our list and also on the market at 10 days! Usually, you have to compromise with battery life the nicer the screen and the better the watch functions – but not with this Pebble watch. It’s also water resistant up to 30 meters! So you have absolutely nothing to worry about wearing this in the shower, ocean, or pool. You can’t quite see it from the photo, but the watch itself is also indeed slightly curved, giving it a more ergonomic design that makes it feel very comfortable on your wrist. It comes with a magnetic charging cable and works in any USB port. There’s also a built-in microphone so you can quickly and easily make voice notes and respond to any messages you may get. 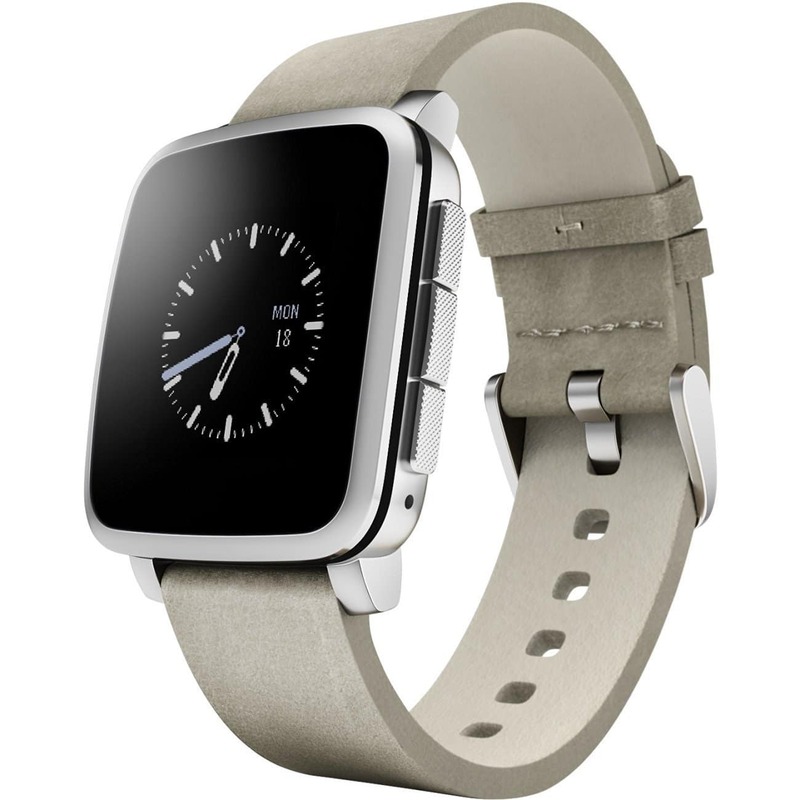 For $105, the Pebble Time Steel is going to be difficult to beat. The screen is amazing, the band options are amazing, it’s water proof, the battery life is almost unbeatable, and the interface is second to none. We truly do not have much to complain about when it comes to Pebble. They consistently deliver products that are of exceptional quality at a completely reasonable price and they did it again with the Pebble Time Steel. If you want to make sure you’re getting a lot of bang for your buck but don’t want to compromise on any features – and in fact want features that beat the industry standard, you’ll be completely satisfied with your Pebble Time Steel purchase. The next watch comes from a brand that’s relatively new and actually got its start on Kickstarter. As the name subtly implies, the Ticwatch has a bunch of different motions that you can use to interact with the watch – more on that later on in the review. This is a brand that really cares about its product and is constantly trying to improve their smartwatch. The product has already grown leaps and bounds since the first Ticwatch. 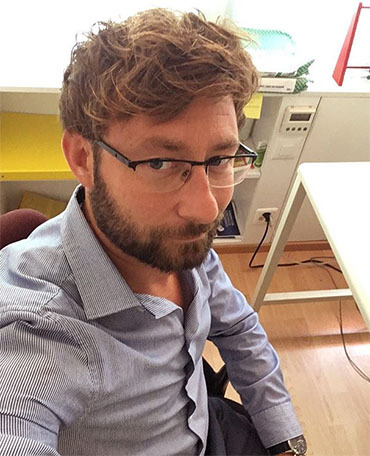 They also offer amazing customer service and technical support so while they may be a startup, you have the backing of a brand that cares about their customers. So we can tell from the photo that the watch is indeed beautiful, but let’s talk features and specs. As we mentioned, what makes this watch unique is all the different ways you can interact with and control the watch. You can use voice, touch control, tickle, flip & knock, as well as palm. They all are integrated with the proprietary Ticwear OS. While you might be apprehensive about having to learn a brand new operating system, do not fear. Their OS allows for extremely easy navigation that you’ll be able to pick up in less than a day. They also have their own app store that’s also entirely proprietary. While they have a lot of the basics, since it is a relatively new brand, there are some fringe apps that are missing. The Ticwatch 2 even tracks steps and heart rate without your phone and then will sync once you get back to your phone. You’re also able to ping your phone if you lose it from your watch! A great feature for those who are a bit more forgetful among us. The volume is also surprisingly loud for how small the watch is. Where the watch really excels is all the different movements that you can do to control it. One negative is that the battery life is really only about a day or two, depending on exactly what apps you use. So you’ll definitely need to charge this bad boy every night. It’s also not waterproof so you’re unable to take it into the pool or shower – a bummer if you want to use it to track your activity while you swim but overall not a deal breaker. It comes either in the pictured charcoal or a bright white that looks really sharp on your wrist. 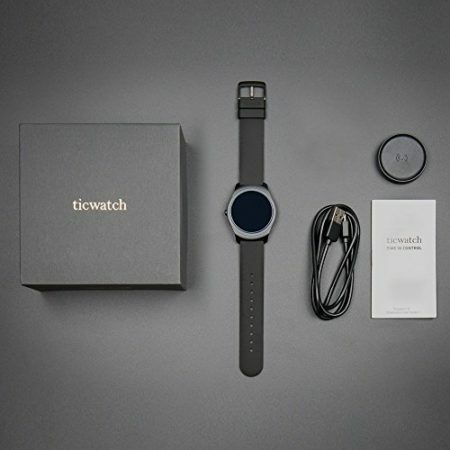 For such a small brand, the Ticwatch really has delivered with the Ticwatch 2 and we can’t recommend giving them a chance enough. The last watch to make it onto our list is from GPS guru Garmin – the Garmin Vivoactive. The first thing we love about this watch is how thin they managed to make it. This is possibly the thinnest watch on our list and one of the thinnest ones out on the market. Coming from Garmin, this watch, of course, has GPS capabilities and can track all of your activity with any sports even if you’re away from your phone. 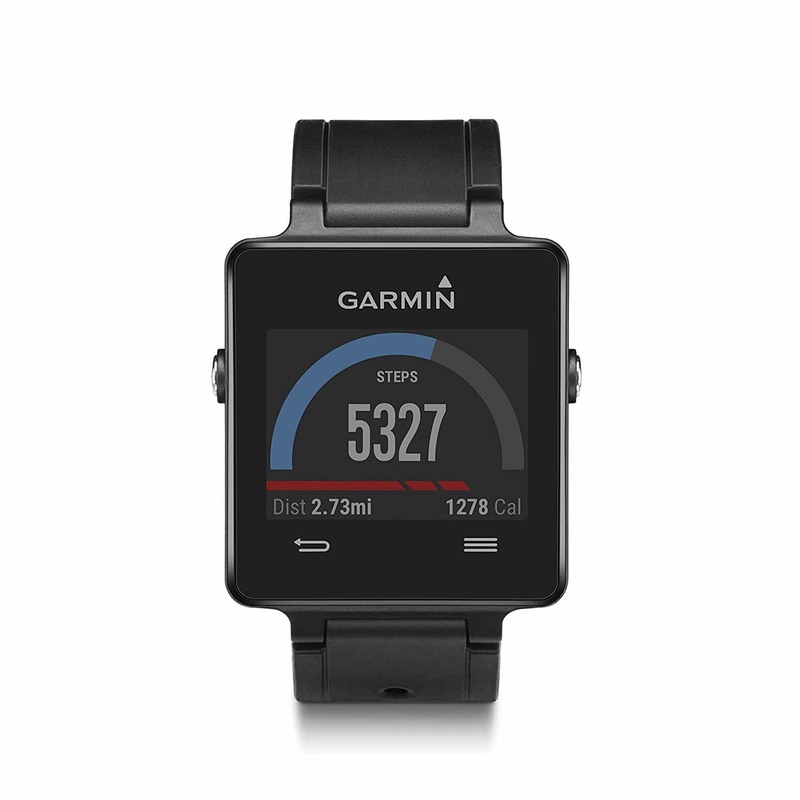 While Garmin seems to have mastered GPS, how are they going to fare with their smartwatch? They fare very well, if we do say so ourselves. Like we said, the watch is extremely thin and is perfect for an active lifestyle. The display is nice and bright and more importantly, you’re able to read it in the bright sunlight. This is especially perfect if you’re doing a lot of your activities outdoors. The battery on the Garmin Vivoactive is also unbelievable – it can last up to three weeks! But there is a catch. It only lasts for three weeks if you’re in activities mode and not GPS mode. If you’re constantly in GPS mode, your battery will only last somewhere around 10 hours. Of course, depending on exactly what you’re doing, you’ll most likely be using it in a combination of both of these modes so your actual battery life will most likely fall between those two extremes. It comes with a bunch of built-in workout specific apps as well. It gently vibrates to let you know that you have a notification and is also completely water resistant so you can confidently swim and shower with it on. The Garmin Vivoactive is another smartwatch that specializes in fitness tracking. 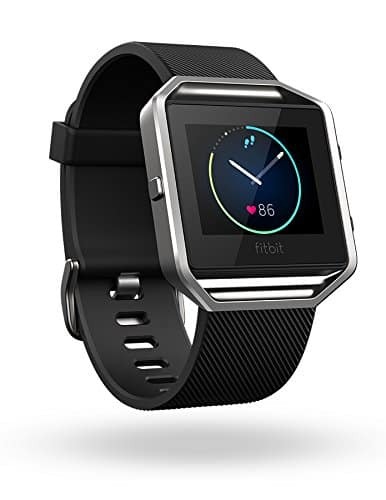 This is a great alternative if you’re not in love with Fitbit or want a slightly cheaper option. The Garmin Vivoactive is about $50 cheaper than the Fitbit on our list. It’s thin and it’s stylish enough to wear day-to-day even outside of your fitness activities. We really love the Garmin Vivoactive and think you will too. When purchasing a smartwatch, it usually really comes down to personal taste a lot of the time. With that being said, however, there are still a few key features that you should be on the lookout for and if you don’t know them, you could end up making a tragic mistake and choosing the wrong smartwatch and getting something you didn’t really want! Let’s go over a few of those features to make sure you don’t accidentally miss anything when you go to buy your first watch. The absolute first thing that you need to be on the lookout for is compatibility! You don’t want to purchase what you think is the perfect smartwatch only to get it in the mail and realize your phone isn’t even compatible. Just about every watch will technically work on both Android and iPhone platforms but could possibly be limited in their features. Also, make sure that you have the latest software version on your phone as the smartwatch may require you to be up to date to work to its fullest capacity. What kind of style of smartwatch are you looking for? Do you want a smartwatch that looks like you’re wearing a tiny phone or would you prefer one that looks a little bit more like your traditional watch? 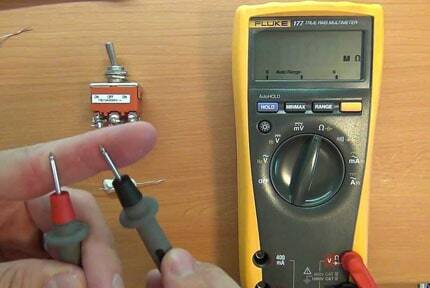 Both kinds do exist – even for under $200! Also keep in mind that while the watch will come with a specific band, most have hundreds of different bands you can buy to change the look on a day to day basis. So keep looking until you find a style that suits you. If you’re going to be using this watch primarily for working out, you might want to make sure it’s waterproof. This varies wildly from watch to watch. Some are not waterproof whatsoever and some are water resistant up to 30 meters. While you may not need it to be waterproof in extremely deep water, you’ll definitely want to make sure it’s at least water resistant. You’ll want to double check exactly what apps your smartwatch comes with. 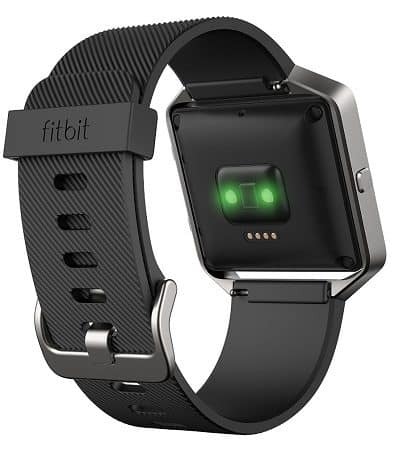 Are you looking to use this watch mainly to track your movement and exercises? Or do you want to primarily use it to make sure you receive important notifications? Whatever the reason is, make sure that the smartwatch you’re buying does exactly what you need it to. A lot of smartwatches will come with a decent amount of apps pre-installed with access to some sort of app store to download more apps. However, exactly how big the app store is will depend on the brand. 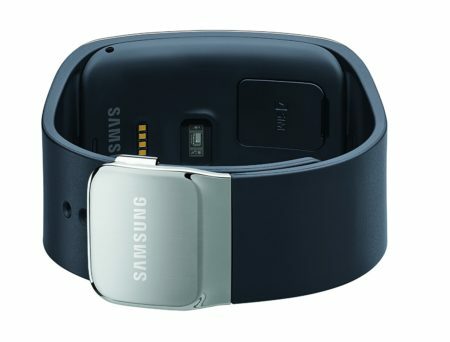 A brand like Samsung will have tons and tons of apps to download while a smaller brand like Ticwatch will be very limited as to what you can download. Battery life can vary wildly from watch to watch. Some will easily last a week while some will only last you a day or two before needing to be recharged. If you don’t mind throwing it on the charger every night then you should be good to go. But if you’re someone who has trouble making sure your devices are fully charged, see if you can find one that lasts a few days. There are plenty on our list that will last at least two days, and some last for ten days or even up to three weeks. There are some really solid options if you’re looking to purchase a smartwatch under $200. We’ve included some really solid fitness options as well as a few that are a bit more versatile. However, as always, there was one that stood out from the pack as the best smartwatch under $200. It was harder than usual to choose this time though – there were a lot of name brand watches that are of extremely high quality. Weighing the pros and cons, one did come out on top. Curious as to watch the best smartwatch under $200 is? The best smartwatch under $200 is the Pebble Time Steel smartwatch! Why? Well, let’s recap. It’s water resistant up to 30 meters, the battery lasts for 10 days, the display is extremely vibrant and clear, there are tons of bands to choose from, it includes Pebble Health that automatically tracks your activity and sleeping habits, and to top it all off – it looks beautiful as well. Not to mention, it’s only a little over $100! It’s the perfect combination of price and quality and also the perfect combination of fitness and classic smartwatch. Pebble once again delivers an amazing smartwatch at a price that’s accessible to everyone. We’re head over heels in love with the Pebble Time Steel and if you give it a chance, we know you will be too. Thanks for reading and hopefully this made your decision even a little bit easier!